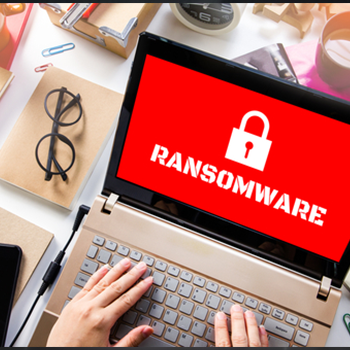 Ransomware attacks are quickly becoming a lucrative method for cybercriminals to extort money from businesses and individuals. Should this trend continue, ransomware will soon affect IoT devices, cars, and various endpoints in organizations. Ransomware encrypts or blocks access to victims' computer files and servers until a demanded ransom is paid. And in today’s interconnected world, IT systems are especially vulnerable since their networks are rarely offline. Cybercriminals can exploit a single vulnerability on an IT network to compromise millions of customers' data. Also, those customers' data are intensely personal and are accompanied by crucial financial information. With sensitive user data being at stake, ransomware affects not only the reputation of the organizations but also their finances. There are several ways ransomware can infiltrate a computer. The most prominent method is by using social engineering tactics or by exploiting software vulnerabilities in the victim's computer. What does this mean for individual users and businesses? To better protect computer and corporate-endpoints from ransomware threats, there is dire need to focus more on ransomware prevention measures and cybersecurity. Organizations should educate its employees about ransomware and the damages it can do to their business. To address the growing threat of ransomware, here are some tips to combat ransomware attacks. Educating your employees about ransomware and security best practices will help to prevent your business from ransomware attacks or any other form of malware. Be sure to educate your employees about popular social engineering tactics used by cybercriminals so that they can avoid falling victim to phishing emails or spoofed messages. Verify email from familiar contacts if it has an attachment or link. Since Windows Operating System is the most popular operating system, most cybercriminals design ransomware targeted to attack the Windows OS. If you are a Windows users, make sure that you accept regular automatic security updates as soon as they become available from Microsoft. If you are using Microsoft Office Applications, be sure to install security patches for them. Additionally, keep your antivirus or anti-malware software up-to-date with the latest virus signatures. Most OEMs and security vendors release software patches and updates to catch and stop malware, including ransomware, before it infects your computer and files. Be sure you are running the most recent versions of Windows OS and security software. Backups prove to be useful at times of ransomware attacks. Having offline copies of your important files can safeguard your precious data from ransomware scams. You can also backup your data in the cloud. This way, you don't have to worry about the threats posed by ransomware. The ever-evolving cyber threat landscape continually presents new challenges. Ransomware is one of those challenges. Even organizations that exercise ideal cybersecurity practices may not be able to prevent a ransomware attack. With that in mind, we have designed Comodo Advanced Endpoint Protection (AEP) which quickly catches and eliminates malicious software including ransomware. Comodo AEP is a complete endpoint protection platform that can detect and contain the most pervasive malware, such as the ransomware. Get Comodo Advanced Endpoint Protection today and secure your endpoints against ransomware and other malware threats.